I am a small independent business specialising in making and erecting domestic and agricultural fencing, decking and gates. 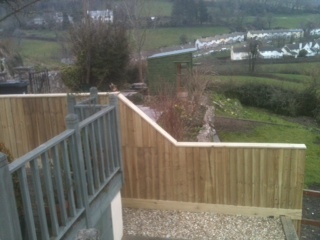 I have over 20 years experience in this area of work both in the Cotswolds and now in East Devon. I have worked for both large companies and individual domestic settings. I pride myself on the standard of my work. I use the best quality materials that are sourced locally and work hard to ensure customer satisfaction. I work in a way that promotes safety and security at all times. I am aware of the individual needs of customers and I aim to meet these at all times e.g. when working with families with small children or working at a time that suits customers. I am fully insured and CRB Checked. If you do not see what you require in relation to fencing or additional services mentioned on this website please do contact me to discuss your needs. No job is too big or too small. I am happy to provide a quote with no obligation.